Celebrating Kingston's rich music heritage was a key component to this project, however, it was also important to celebrate and acknowledge the outstanding musical talent of today. Combining some of the oral testimonies captured during the project and live recordings of some of the best artists of today, this album pays tribute to the remarkable heritage of Kingston. 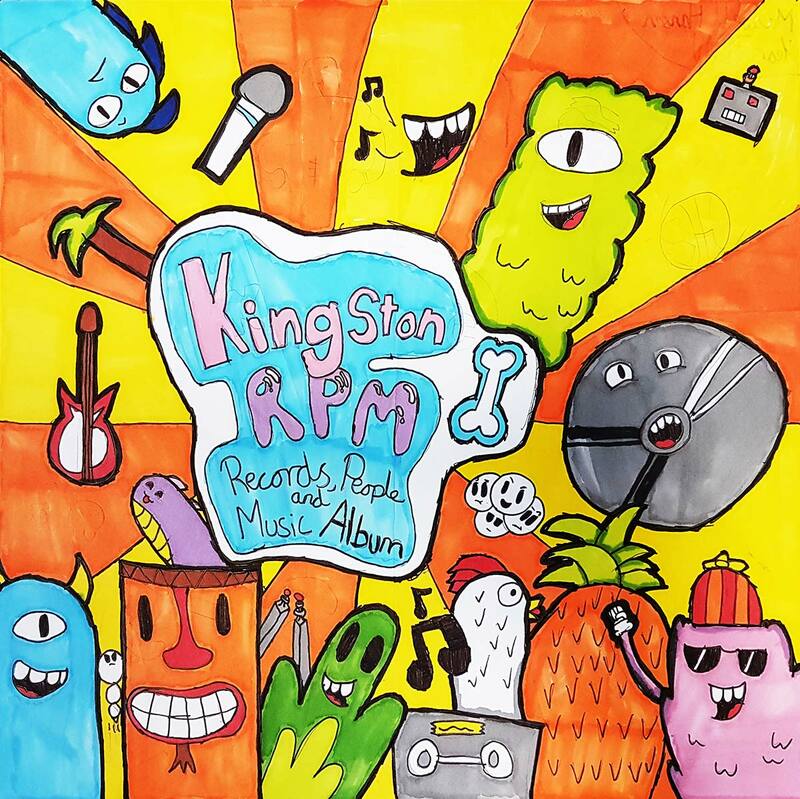 Simultaneously capturing voices of the past, the vibrancy of the present and the talent of future, this Kingston RPM album is a fitting testament to the formative and ongoing of music in the borough. All music was recorded live at Kingston Music Services' Festival of Schools Choirs and the Kingston RPM Gig Day and huge thanks goes to the recent graduates of the Academy of Contemporary Music, Clapham and Kiall Freeman, Linnea Kempe and Zayn Goetzee for their work in recording, mastering and editing the music. Artists featured on the album include, Tankus the Henge, Tobias Ben Jacob and Lukas Drinkwater, Julian Marc Stringle Jazz Quartet, The Gator Dog Snappers, John Coghlan's Quo and the young performers from St Paul's C of E Primary School, Kingston Hill, Lovelace Primary School, King Athelstan Primary School, St Matthew's C of E Primary School, Ellingham Primary School, St John's Primary School, St Andrew's and St Mark's Junior School and Latchmere School. When creating the project album, a competition was launched to find the cover design. 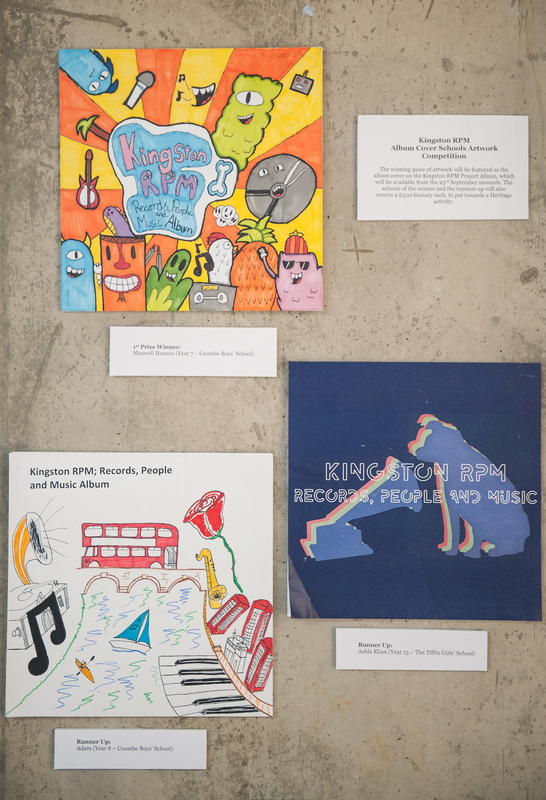 Using inspiration from the record sleeve artwork between the 1940s and 1970's, a number of local schools put their creativity to the test and submitted entries. The winner was Maxwell Hansen from Coombe Boys School, with Asma Khan from Tiffin Girls School in Second Place and Adam Mayor - Bowler, also from Coombe Boys School coming in Third Place. All three pieces of artwork were on display in the Rose Theatre, as part of the To Make A Record Exhibition and Maxwell's work was printed as the cover sleeve to the project LP's.